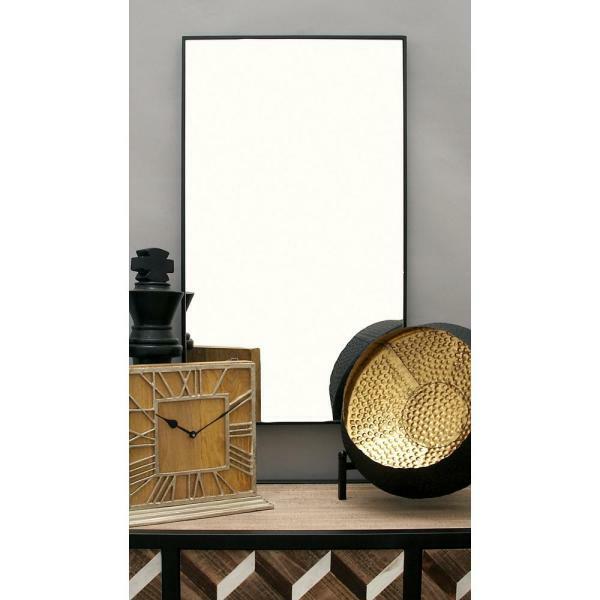 This wall mirror features a minimalist design with its smooth rectangular reflective panel. It is perfectly encased in a thin rectangular wooden frame in a solid black finish that can be hung easily on walls. The neat and simple style of this mirror will flatter any contemporary space. Arrived in a box that wasn’t damaged, yet the frame was smashed in every corner. Paint was peeling. Looked like it almost had water damage. Clearly was damaged before it was shipped, but shipped anyway. Returned the item. Purchased about a month ago and absolutely love it! Perfect size and great sleek modern look with the thin wood frame. Looks amazing in my laundry room!